I’ve talked about colouring books before (about how they are not just for kids and about the different ways both artists and non-artistic people can benefit from them), but I’ve never really had any interest in buying one. Mainly because I remember the colouring books I had when I was a child. Printed on thin, insubstantial paper, they were okay if you were using coloured pencils, but any other medium – markers, inks, paints – would bleed through and ruin whatever was on the back of the page and would often make the paper curl up like a sad little pretzel. Some of my friends use adult colouring books (which are just normal colouring books, I guess), and I’ve always liked the idea of them because they let people play with colours and relax, regardless of their artistic skill, but I figured that the paper quality was still inferior and therefore never looked into them that seriously (I’ve always preferred painting mediums over coloured pencils). While on a recent YouTube bender – you know, where you just watch one video and really like it and then end up spending hours watching all the videos on that person’s channel – I came across The Mind of Watercolor channel. Though most of his videos are demos or tutorials or product reviews (and it’s worth watching them, he has a lot of good exercises on there), he also has a couple of videos about colouring books, one of which is specifically for use with watercolour. As you can probably tell from my Gallery page and many of my sample paintings in my reviews, I’m not an expert painter, especially in watercolour. I’m more like a beginner or maybe an intermediate painter; for every painting I do that turns out well, I do at least one or two that turn out like rubbish. Sometimes my art turns out bad because of composition issues, or because I am just not as good at drawing some subjects as I am at others, but sometimes it’s because I make mistakes with the watercolour medium itself. With acrylic it’s easy to fix mistakes, because I can just paint over it, but watercolour is much less forgiving, so if I end up with unwanted colour running into another area because I was too impatient to let it dry or accidentally get dark paint in an area that is meant to be light, the painting is often ruined. When I do a good drawing which is intended to be coloured in with watercolour, I sometimes get paralysed by the fear I’ll ruin it. So when I saw that there was a colouring book printed on proper watercolour paper, I decided it might be worth getting one for myself to play with. The watercolour colouring book Steve Mitchell (the Mind of Watercolor presenter) talked about was Painterly Days: The Woodland Watercoloring Book for Adults, by Kristy Rice. There’s also a Patterns one and a Flowers one. I had trouble deciding between Flowers and Woodland but in the end went for the latter because it had various animals, insects and fruits in addition to flowers, giving me more variety. 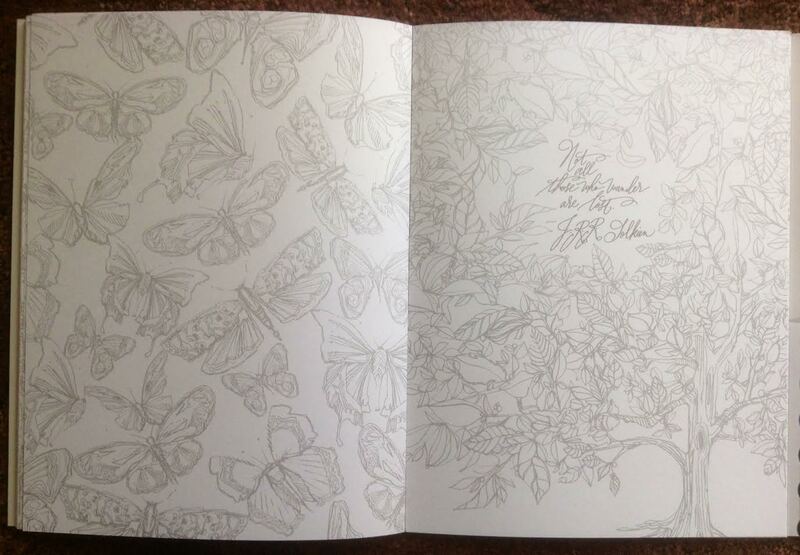 Slightly bigger than a sheet A4 paper, this is one of the most nicely presented colouring books I have ever seen. 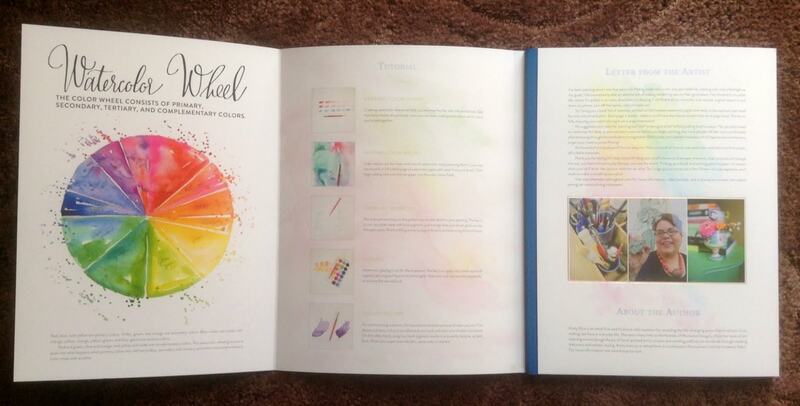 The cover folds out into a colour wheel and some watercolour painting tips on one side, and a list of suggested materials and a letter from the author on the other. The first few pages have a description about the illustrations throughout the book and some tips for each page. The quality of the paper itself is also very nice. It’s not like artist grade watercolour paper but it’s a lot thicker than the standard colouring book stuff and can take a lot of water without curling or bleeding through. 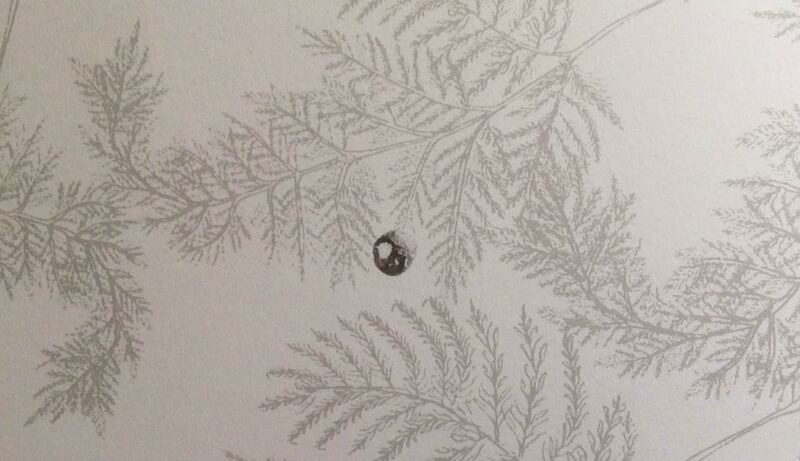 It also has a smooth texture like hot-press watercolour paper. Unlike most colouring books, where the lines are printed in dark black, this colouring book uses medium grey lines, making them less visible when you’ve coloured the pictures in. Rather than being stuck with harsh outlines, you can aim for a more subtle, realistic look by using softer blends or adding more details if you want to. Unfortunately one of my pages had an ugly ink blob right in the middle of it, which I knew I wouldn’t be able to cover up with watercolour or pencil. I ended up painting over that little section with acrylics, which are more opaque. Given the thickness of the paper, I was hoping it wouldn’t buckle like most paper does when you paint on it with acrylic, and it held up pretty well, though I’d imagine it wouldn’t cope so well if you painted the whole thing with thick acrylic. I also coloured some bits in with coloured pencils and found it nicer than colouring on standard colouring book paper; the thicker, slightly toothier paper allowed for more subtle layering and blending. You could probably use any watersoluble media – crayons, pencils etc – for a bit more variety. Here are some toadstools I painted in watercolour on one of the pages. 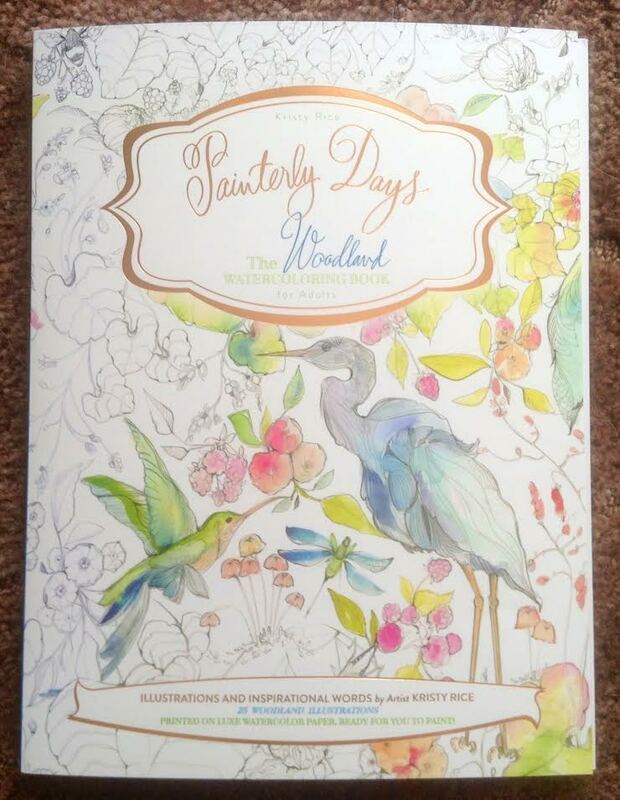 Any of the Painterly Days watercolour colouring books would make a nice gift, either to a friend who loves colouring or to yourself for playing with colours. When you don’t have the time or the energy to draw anything or compose a painting yourself, it’s nice to be able to just sit back and colour in these pages full of wild flowers and creatures, and it’s a fun way to test out any new art supplies you’ve bought. 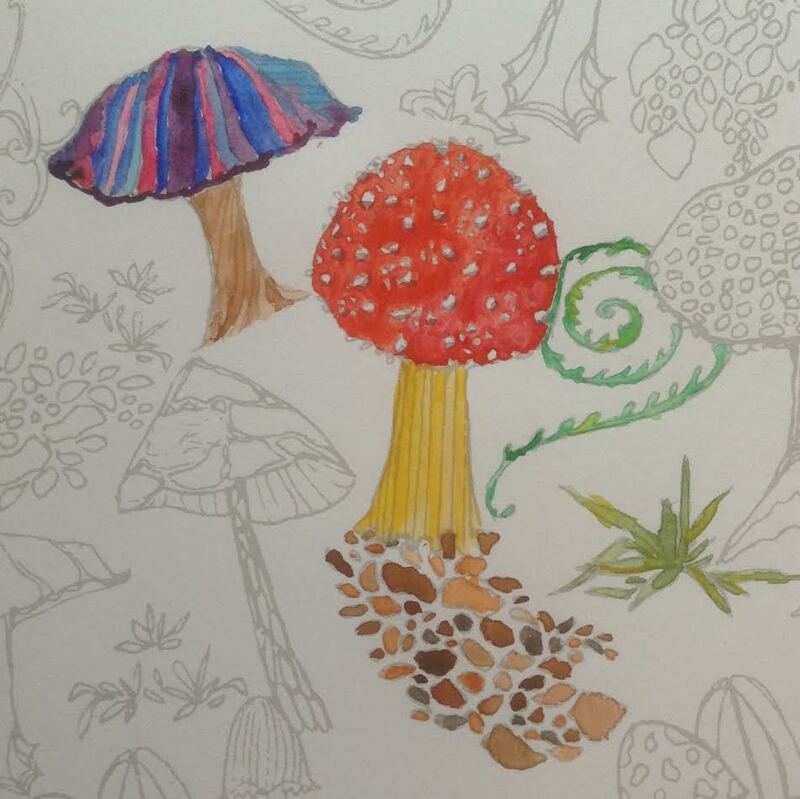 This entry was posted in Books, Colouring Books, Paper, Pencils and Blocks, Reviews, Surfaces, Watercolour and tagged Acrylic, Coloured Pencils, Colouring Books, Watercolour, Watersoluble. Bookmark the permalink.